I got this tattoo after leaving a relationship. 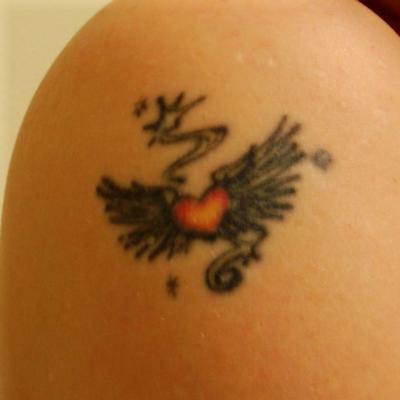 I picked it out of a book, and I thought the tattoo was a symbol of my heart leaving and flying away. I am now back with the person I left and we have a wonderful relationship. Now I think the tattoo means my heart flew back to the relationship. Join in and write your own page! It's easy to do. How? Simply click here to return to Relationship Tattoos.